Some of the greatest maps ever made were by our explorers. Those intrepid individuals who sought to find and understand new places and make maps so that we could benefit. Of course, mapping an uncharted place alone doesn’t make a map great but the maps made by Dr David Livingstone in the mid to late 1800s are both key documents in the charting of continental Africa but also works of cartographic importance to. Livingstone was many things but his role as scientific explorer and quest to find the source of the River Nile brought a new fascination with Africa and ultimately led to colonial interests and the so-called Scramble for Africa. He was concerned with Missionary work and firmly believed that his expeditions were in principal a way to replace the slave trade with commerce and trade. Many of his ideas and expeditions led to changes but in a mapped sense, he was able to fill in the many large blanks on the map. He is famous, of course, for being the first Westerner to see the Mosi-oa-Tunya falls which he re-named Victoria Falls after Queen Victoria. 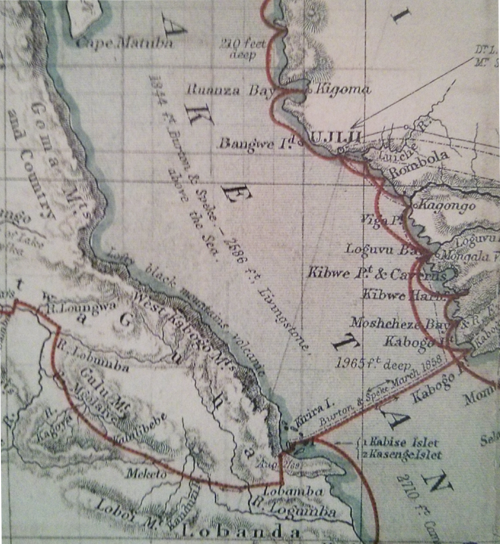 He was also the first Westerner to cross the continent at the latitudes shown in this map, which currently hangs in the Royal Geographical Society in London. 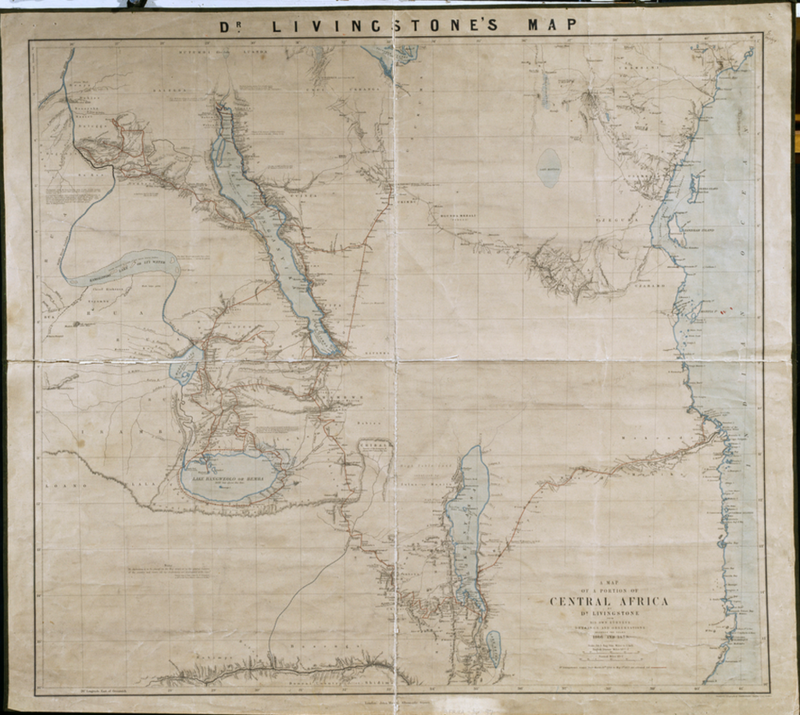 Livingstone was also credited with mapping and ‘finding’ many other notable places. His maps were beautiful. They clearly represented his travels showing great care and detail in the vicinity of his routes. His relief representation was particularly well crafted as was his typography. The use of contrasting red colours showing his routes clearly set out the travels. and the use of tints added to the overall map’s appeal. 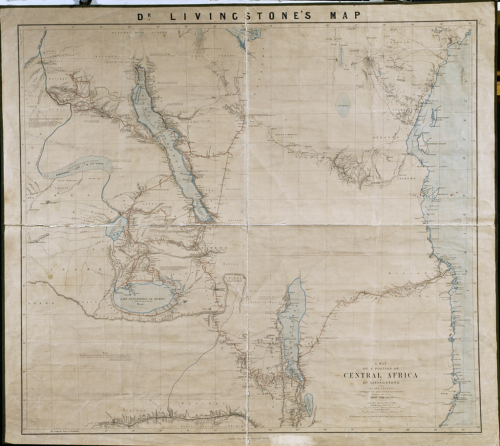 Large format wall maps and many other forms of mapping create a rich portfolio of Livingstone’s expeditions. The maps serve as testament to the spirit of discovery but also show the craft of the cartographer and the importance of the map as a document of discovery.